Tickets sold through this website grant to the Customer only a revocable license to the bearer that may be revoked if rules and terms are violated. Resale or attempted resale of any ticket issued hereunder at a HIGHER PRICE than the face value appearing thereon is grounds for cancellation without compensation. Customer assumes all risk or danger incidental to the attraction, whether occurring prior to, during, or subsequent to, the actual attraction. The terms of sale of each ticket issued pursuant to a transaction initiated on this website are subject to any and all terms imposed by the applicable event. In order to be admitted to an event, each Customer must present the original digital ticket in its original, undamaged, unaltered form, to the applicable venue at checkin. Entry may be refused for various reasons, including misconduct, intoxication, etc., as determined by festival management and security. THE HOLDER EXPRESSLY ASSUMES ALL RISK AND DANGER ARISING FROM OR INCIDENTAL TO THE EVENT FOR WHICH THE TICKET IS ISSUED, WHETHER SUCH RISKS OCCUR PRIOR TO, DURING, OR SUBSEQUENT TO THE ACTUAL EVENT THE HOLDER EXPRESSLY RELEASES THE EVENT FACILITY, LAND OWNERS, MANAGEMENT, PROMOTERS, PARTICIPANTS, PERFORMERS, ARTISTS, AND THE TICKETING AGENCY AND/OR TICKETING SERVICES PROVIDER (collectively “MANAGEMENT”) AND ALL OF THEIR OWNERS, OFFICERS, DIRECTORS, EMPLOYEES, CONTRACTORS, REPRESENTATIVES, AND AGENTS, FROM ANY AND ALL CLAIMS THAT THE HOLDER HAS OR MAY HAVE THAT ARISE FROM OR ARE INCIDENTAL TO THE EVENT, INCLUDING ANY CLAIMS ARISING OUT OF THE NEGLIGENCE OF MANAGEMENT OR MANAGEMENT’S OWNERS, OFFICERS, DIRECTORS, EMPLOYEES, CONTRACTORS, REPRESENTATIVES, OR AGENTS. Management reserves the right to refuse admission to or eject any person whose conduct is deemed by Management, at Management’s sole discretion, to be undesirable, including (but not limited to) disorderly conduct, use of vulgar or abusive language, or failure to follow Management or facility rules and directions. Undesirable conduct of any of the types expressly listed above will automatically terminate this license and all rights of the holder. The exercise of management’s ejection rights hereunder does not entitle the holder to a refund of the ticket price or any part thereof. This ticket is a revocable license and admission may be refused if rules are violated. Tickets can be sold if original attendee can no longer attend and wishes to sell their ticket to another at face value. The holder agrees not to transmit or aid in transmitting any description, account, picture, or reproduction of the event, performance, exhibition or game for which this ticket is issued for commerical/professional use for profit, unless first granted permission by event company owner. The holder acknowledges that the event may be broadcast or otherwise publicized, and grants permission for holder’s image or likeness to be used in any live or recorded transmission or reproduction of such event, performance, exhibition or game in any medium or context for any purpose, including commercial or promotional purposes, without further authorization or compensation. The holder agrees to comply with all local or facility rules that prohibit or limit alcoholic beverages, illegal drugs, controlled substances, cameras, recording devices, bundles and containers of any kind from being brought into the event premises. Unless indicated otherwise, prices include all applicable taxes and/or cash discounts (if available). Tickets are non refundable unless the event is cancelled. Anyone assiciated with competitor companies caught trying to enter into events will have their license revoked without refund and be denied entry to any/all events. A revoked license is NOT a reason for a refund. Because events are subject to weather conditions, the potential danger of fire and injury, any event may be canceled due to weather conditions including wind, rain, or drought situations. 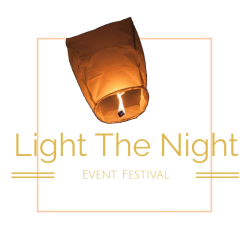 Efforts to reschedule the event will be made for the next available date at the venue, where weather conditions permit; participant tickets will automatically be transferred to the rescheduled event, if you would like to transfer your ticket to another events location instead it will be honored. Refunds are not given when events are rescheduled due to weather. If a participant cannot attend, tickets can be sold to another person, or you can use your ticket for another locations event, however, refunds are not given if you change your mind or can’t attend after all. Refunds are not given when venues back out on contracts due to no fault of ours. We do everything to assure we stay in good standing with venues however, instances can arise on the venues end. RESELLING AND PROMOTIONAL USE PROHIBITED. The Ticket Holder agrees not to transmit, distribute, or sell (or aid in transmitting, distributing, or selling) in any media now or hereafter existing, any description, account, picture, video, audio or other form of reproduction of the event or any surrounding activities (in whole or in part) for which this invitation is issued (the “Event”). This invitation may not be used for any form of commercial or trade purposes, including, but not limited to, advertising, promotions, contests or sweepstakes, without the express written consent from the event company owner. Breach of any of the terms of this license or the failure to comply with venue rules shall automatically terminate any rights that the Ticket Holder may have hereunder; shall render illegal and unauthorized the Ticket Holder’s use of the invitation for any purpose; and shall authorize Promoters to withdraw the invitation, refuse admission to the Event, or eject the Holder from the Event. By clicking “[I AGREE]” , you agree to these terms and conditions and you agree to the Arbitration Agreement, and the Consent to Electronic Contracting and Communications. If you do not agree to these terms and conditions, or the Arbitration Agreement, or the Consent to Electronic Contracting and Communications do not click “[I AGREE”]. As used in the Arbitration Agreement and the Consent to Electronic Contracting and Communications, “we,” “our,” and “us” mean Elevate and its successors, assigns and agents. Because events are subject to weather conditions, the potential danger of fire and injury, any event may be canceled due to weather conditions including wind, rain, drought situations, or other instances out of our control. Efforts to reschedule the event will be made for the next available date at the venue, where weather conditions permit; participant tickets will automatically be transferred to the rescheduled event, if you would like to transfer your ticket to another events location instead it will be honored. Refunds are not given when events are rescheduled, and are only refunded if the event is just cancelled. Light The Night strongly believes in both minimizing the data we collect and limiting its use and purpose to only that (1) for which the Company has been given permission, (2) as necessary to deliver the Services, or (3) as the Company might be required or permitted for legal compliance or other lawful purposes. We may disclose your personal information if we are required by law to do so or if you violate our Terms of Service, otherwise we do not share your information with anyone else.